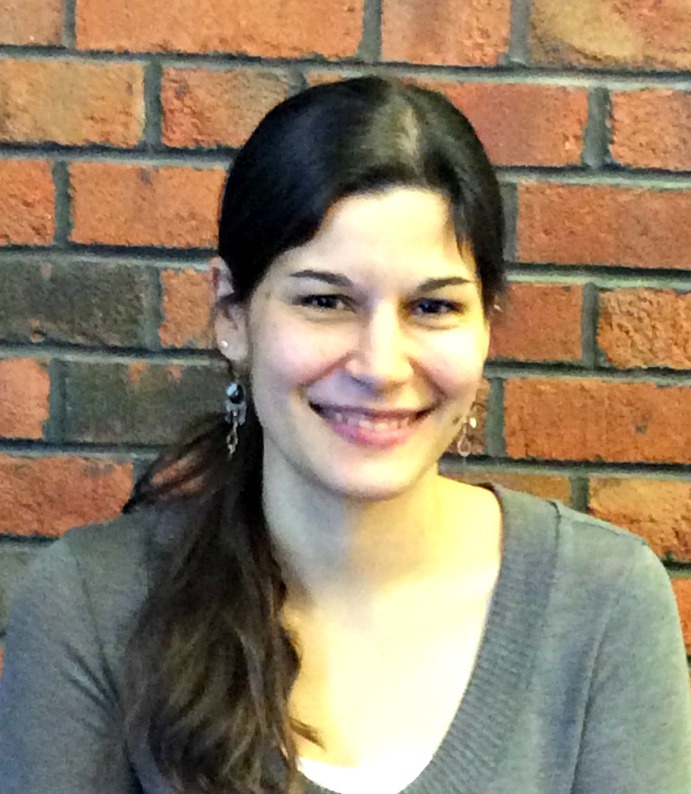 The Library’s newest staff member is Public Services Librarian Maria Emerson. Maria’s duties include outreach to student organizations. You can reach her by email at emersonma@lewisu.edu, or just stop by the Library and say hi! Welcome to Lewis University Library, Maria! What aspects of your new position as Public Services Librarian are you most excited about? I’m really excited about getting to know the students and the different groups on campus. I want to find new ways the library can help and reach out, either through new resources or programs! What made you decide to become a librarian? What is your favorite part of the job? I grew up in a very academic family, so going to the library once (or more) a week was normal and a place I was very comfortable in. When I was a freshman in college, I started working at the college library and ended up really liking it and feeling like this was the career for me. I love that libraries can be a safe haven for people, and they hold resources that people seek for things ranging from homework to finding information for a personal issue in their life. My favorite part of my job is seeing all different types of people from all backgrounds and ages come to the library, and helping them find what they need. In addition to your MLS, you have a degree in Spanish and International Studies. How does this background influence your work as a librarian? There is nothing quite like finding yourself in another country, culture, or language to make you realize that the world is much bigger than yourself. Studying another language and learning about different places and lifestyles in college has really made me more aware that people view and learn things in different ways. I have also learned that it can be really comforting and welcoming to see someone make an effort to get to know you and your background. One of my particular interests as a librarian is reaching out to underserved populations and making the library a more diverse place. People are more likely to return when they feel that their culture, language, or needs are being acknowledged and validated. I really love to travel to new places, read, run, and play with my dog, Storm. As you can probably tell from my dog’s name, I am also passionate about superheroes, and I always enjoy a good comic book to read! If you had a year off without pay (hypothetically, of course! ), what would you do? My husband and I are slightly obsessed with “The Amazing Race,” so I think I would try very hard to get us on that. If that didn’t happen, I still would want to travel a lot (especially to Barcelona, Spain, and Vienna, Austria). I’ve been wanting to learn another language like French or Portuguese, so I would start that. I also have a rather large soft spot for animals, so I think I would volunteer at a local animal shelter and spend time with the dogs and other animals there (and try not to adopt each one). Lately, I’ve only been able to read children’s books to my 9-month old daughter (who is particularly fond of Goodnight Gorilla and Goodnight Moon). I am a huge fan of To Kill a Mockingbird (I even named my daughter Scout after the main character), so I recently read Harper Lee’s Go Set a Watchman. The last book I read, though, was a graphic novel called The Shadow Hero, featuring the first Asian-American superhero, the Green Turtle. I love fiction in general, and I have Telegraph Avenue by Michael Chabon waiting to be read next! Win your own study room for a day! **The contest is now closed. Congratulations to Bartosz Pyszowski, the Fall 2015 Library V.I.P.! 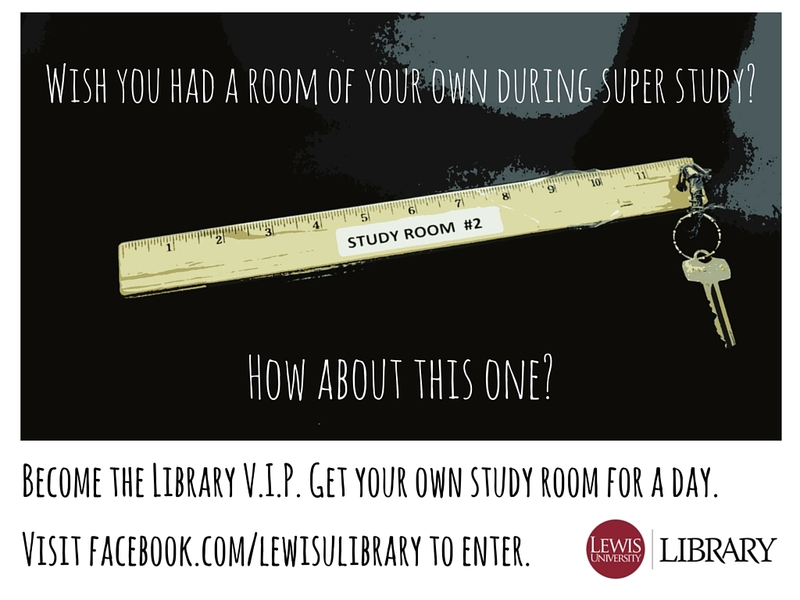 This semester during Super Study, get the VIP treatment from the Lewis University Library: win your own study room for the day of your choice! Post a comment telling us why you want to be the Library V.I.P. We will randomly select one winner from all entries received by midnight on Thursday (11/19). The winner will be contacted via their Lewis University email and Facebook direct message on the morning of Friday, 11/20 and must respond by 5:00 p.m. that day. If they do not respond, a new winner will be selected. The winning student will have until midnight on Monday, 11/23 to select their preferred study room reservation date. Visit us on Facebook between now and Thursday, 11/19: You might become the Lewis University Library VIP! 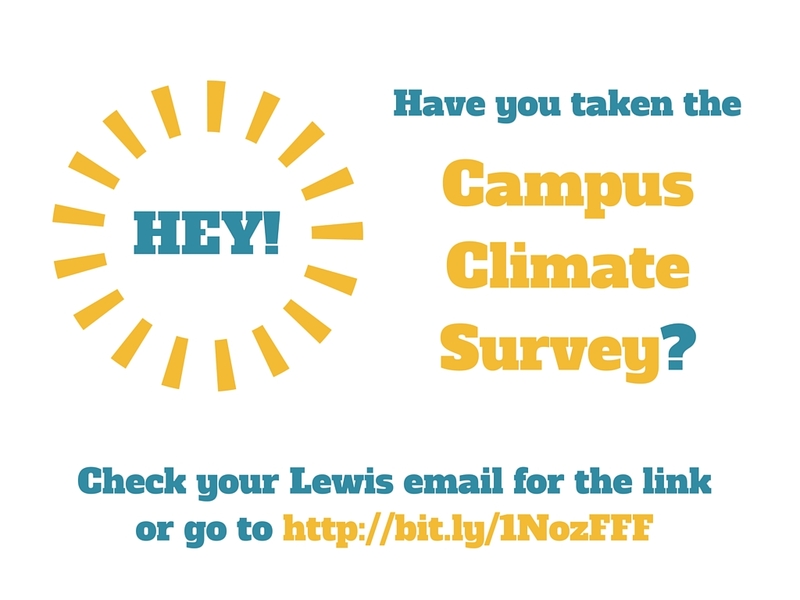 Lewis students: Take the Campus Climate Survey! The purpose of the Campus Climate Survey is to understand the scope and nature of sexual violence at Lewis University, including student attitudes about and behaviors toward sexual violence and students’ knowledge of sexual misconduct policies and reporting procedures. This information is critical to tailoring sexual violence prevention education programming and to improving the campus response. The survey will be available through November 22, 2015 and is open to all students on campus (undergraduate, graduate, and professional). Students who complete the survey will be eligible to enter a raffle for gift card. Names will be chosen at random from a website. Gift cards will be awarded at the end of each week of the survey. For more information, contact Michele Manassah in the Center for Health and Counseling Services.